Sonoma State University junior Jensyn Warren has been selected to the 2018 Intercollegiate Tennis Association (ITA) Division II Women's Tennis All-America Team for singles play. The acheivement was announced on June 7 by the organization. This marks Warren's second career All-America honors after being named an All-American in 2017. 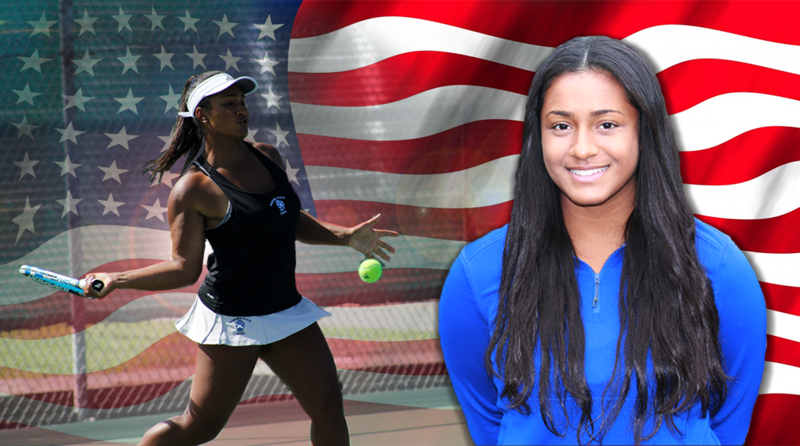 Warren, from Woodland Hills, ends the 2018 campaign ranked fifth in the nation in singles play in the final Oracle/ITA Division II Women's Rankings, and also fourth in the West Region. The junior earned SSU's highest ranking in Women's Tennis program history this season, with the ITA ranking her third in the nation on April 11. Warren was named an All-PacWest First Team selection this season. As a team, the Seawolves ended 2017-18 with a 18-8 record, placing fifth in the PacWest Championship Tournament in late April.